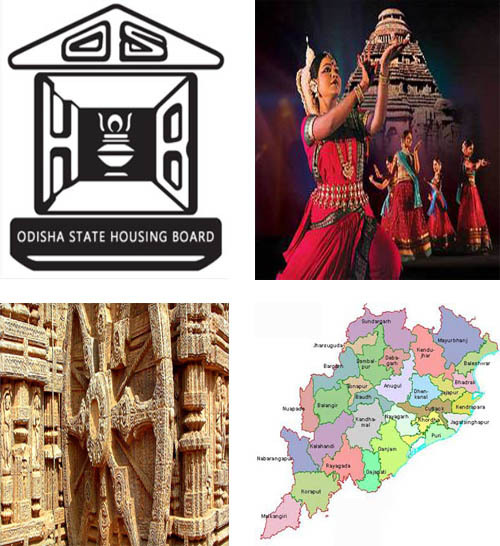 The Orissa State Housing Board came into existence w.e.f. 05.07.1968 vide Notification No.8199-H-21/68 dtd. 04.07.1968 by an Act of the State Legislature. The prime objective of the Board is to provide an affordable accommodation in both in Urban and semi-Urban areas in order to alleviate an acute shortage of housing in the state. Provide affordable houses to all categories of people. The Resident can perch effectively, breathe easily freely. (6) Maintain the Environmental Balance intact despite urbanization promoting Green House Concept. The Head Office is Located in its own building in the Temple City of India, on the Sachivalaya Marg, Bhubaneswar. Various Engineering Divisions and Zonal Offices are located at different part of the State of Odisha i.e Cuttack, Rourkela, Puri, Sambalpur, Koraput.